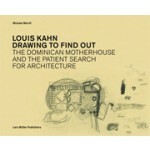 Like few others, Louis Kahn cultivated the craft of drawing as a means to architecture. His personal design drawings - seen either as a method of discovery or for themselves - are unique in the twentieth century. 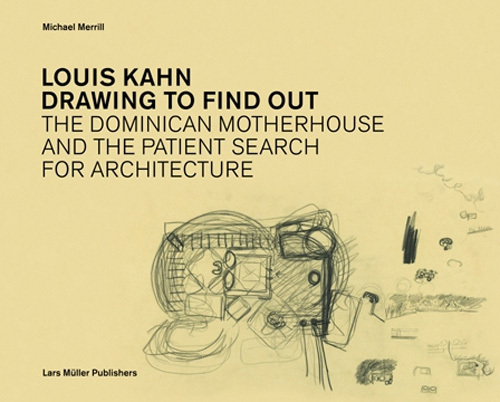 Over two hundred - mostly unpublished - drawings by Kahn and his associates are woven together with a lively and informed commentary into an intimate biography of an architectural idea. Unfolding around the iconic project for the Dominican Motherhouse (1965 - 69) the drawings form a narrative which not only reveals the richness and hidden dimensions of this unbuilt masterpiece, but provides compelling insights into Louis Kahn’s mature culture of designing. Kahn - long considered an “architects’ architect” - emerges as a vivid and instructive guide, provoking reflection on questions which continue to remain relevant: on how works are conceived, on how they might be perceived, on how they become part of human experience. Fascinating not only in their beauty, the drawings open a new and stimulating perspective on one of the past century’s great architects.